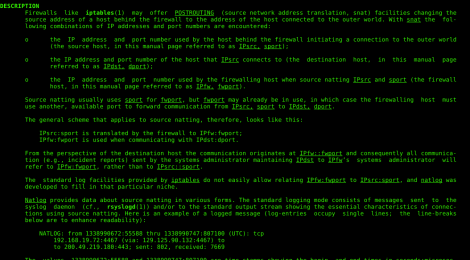 Browse: Home / Natlog is a utility logging traffic through a firewall doing source natting. 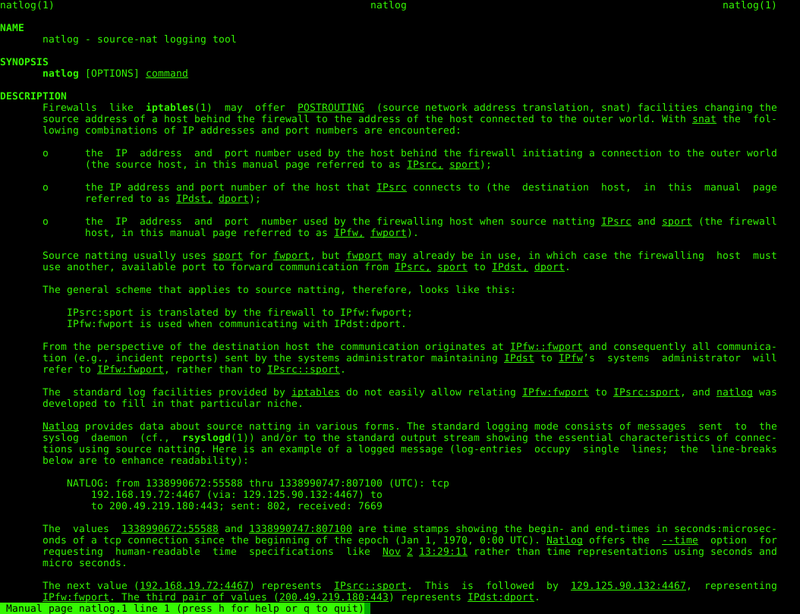 Natlog is a utility logging traffic through a firewall doing source natting. 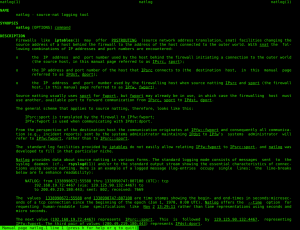 Natlog is a utility logging traffic through a firewall that performs source-NATting (a.k.a. POSTROUTING). Firewalls like iptables usually offer POSTROUTING source network address translation facilities changing the source address of a host behind the firewall to the address of the host before the firewall. The standard logs facilities provided by iptables do not easily allow us to associate addresses behind the firewall to their source-natted equivalents before the firewall. Natlog was designed to fill in that particular niche. When running natlog, messages are sent to the syslog daemon and/or to the standard output stream showing the essential characteristics of the connection using source natting. Natlog depends on facilities provided by iptables, but may also generate logs directly using facilities offered by the pcap library. ← ReelPhish – Automated Real Time Phishing.